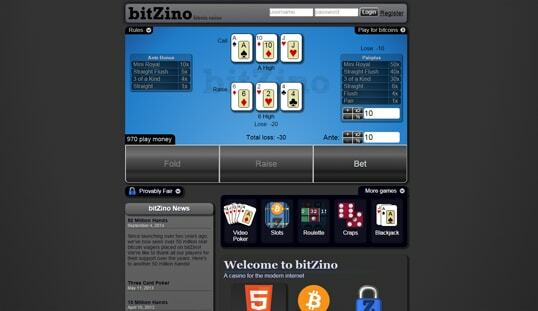 BitZino is among the pioneering Bitcoin casinos to introduce HTML5 Bitcoin games. Experience authentic and provably fair Bitcoin casino gaming here. 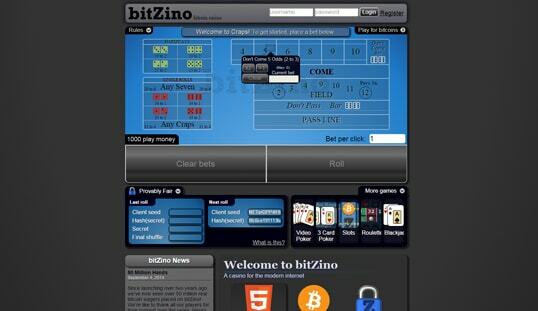 BitZino is among the pioneering brands in the Bitcoin casino market. In spite of its age in the niche, it still continues to bring an authentic Bitcoin casino experience to those who play on its platform, may they be new or veteran Bitcoin casino goers. This site was launched in June 2012. In terms of language, English is the only one offered on the site. Moreover, it being true blue to what the very essence of the ‘bit’ in its name, the only payment method accepted here is Bitcoin. This site also states that they are not just fair but provably fair as they use cryptography to prove that you get a fair play in each of your games. 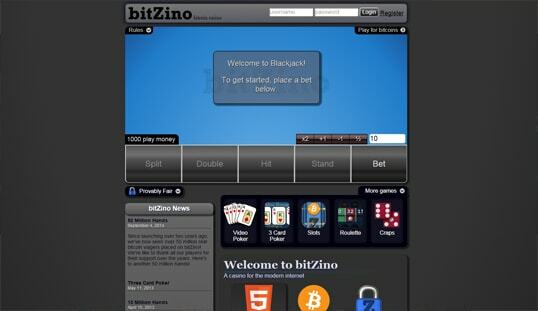 BitZino is known for its exclusive versions of Bitcoin blackjack, video poker, 3 card poker, roulette, and craps. These games have similar game mechanics with the other Bitcoin casino games. 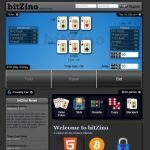 However, BitZino’s game library is believed to be among the first set of HTML5 Bitcoin casino games that require no software downloads or plugins. Thus, these games deliver a vintage and authentic feel to gamblers. Its graphic design is provided by a proprietary software provider; therefore, it is best that you do not expect too much. Also, this platform has been around for four years as of writing, so some may notice that their game features and design need to be upgraded. The first thing you will notice is the minimalistic style. Their homepage has very limited things that will be right before your eyes the moment you enter their site. Other than that, everything is in gray. Sure it can be an eye friendly site because it does not use bright and flaming colors; but then, with the grey backdrop with a blue blackjack table, it made the homepage look dull. There are two ways to sign up for an account in order to play for real bitcoins. The first is to provide certain details like the username, a password, and an optional email address. The second method is through the site’s auto-register system. By clicking its button, an account will be automatically created, along with a corresponding URL that will also function as the login credential. Adding a username and password can always be added later. All deposits must receive one confirmation before they can be used for wagers on the site. One network confirmation typically takes about 10 minutes, so newly funded accounts will require players to wait for a few minutes before they can begin placing bets. Also, deposit addresses for each account change every 30 days. When it comes to withdrawals, the maximum time the cashout will be transferred to the player’s wallet address is within 24 hours. All withdrawal amounts must be at least 0.0001 BTC for them to be processed. BitZino only has the email option for those who are in need of customer assistance. However, the casino guarantees that the queries set to them will be answered on the soonest time possible.